Maribor castle is a beautiful architectural monument in the heart of Maribor. You can't miss it, really. It can't be compared to infamous castles in Germany, France or elsewhere because of its size but it's a place worth returning. What I really like is that you don't need to spend half a day inside running around to see as much as possible and come out completely exhausted. No, you can take an easy walk through all of its beautiful collections and after an hour you are still absolutely fresh. On the other hand, a cup of delicious coffee is just around the corner in one of bustling coffee shops on the Castle square. Maribor castle is placed in the north-eastern edge of the Castle square and was built between 1478 - 1483 under the order of Friderich III. It's architecture is a mixture of Renaissance (the bastion 1556-1562) and Baroque (the Loretan Chapel 1655-1675, the Knights' Hall from 1670 and the Rococo staircase from 1750). 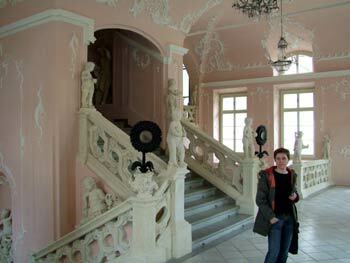 The owners were noble families but due to immense maintenance costs the City finally took it over in the 19th century. 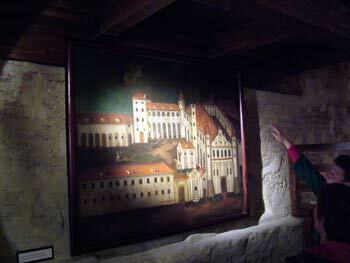 Some famous people visited Maribor castle in the past. 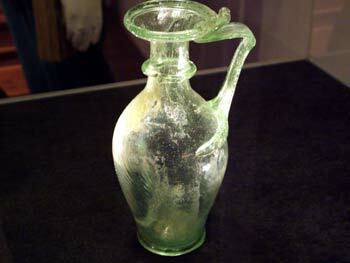 Among them are Emperor Leopold I., Karl VI., the Empress Maria Theresa, Pope Pius VI. and composer Franz Liszt. 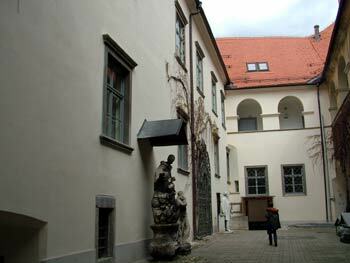 Today, the castle is a home of The Maribor Regional Museum. 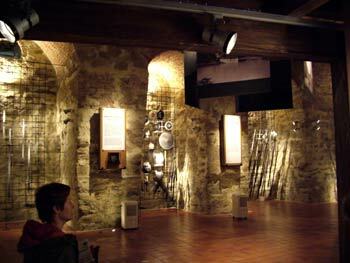 The visitors can see archaeological, ethnographic, clothing, cultural and historical collections. I have visited the castle many times and I'll certainly do this in the future too. All collections are really worth seeing. 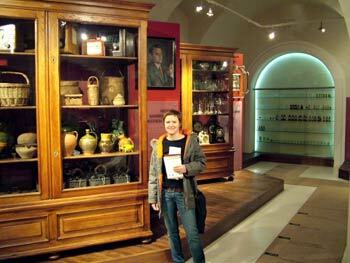 My favourite is the Clothing collection with aristocratic and bourgeois costumes from the 18th, 19th and 20th century. There are also uniforms and kits from Austrian, German and French armies to 1918, war uniforms from 1914-1918 and from 1939-1945, uniforms from the Yugoslav Kingdom and the Republic as well. The big attraction is a white uniform of Marsal Josip Broz Tito. Maribor castle is currently undergoing a massive reconstruction which will be completed by 2013 so by then you can only admire a fraction of all collections. However, a small part of the castle is already refurbished promising a truly impressive display once the reconstruction is completed. 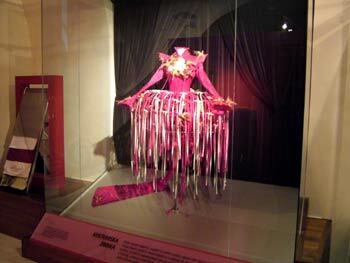 (this particular dress was recently on display in London). 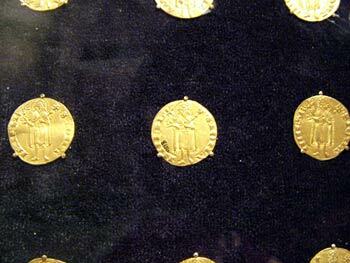 A look into Numismatic collection. sarcophagus, a heraldic plaque and more. 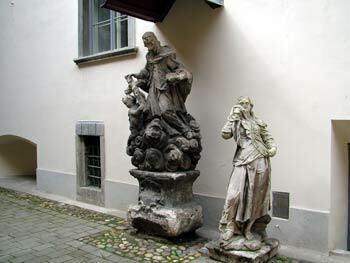 The sculptures from Maribor and its surroundings. the defence point on the town moat. 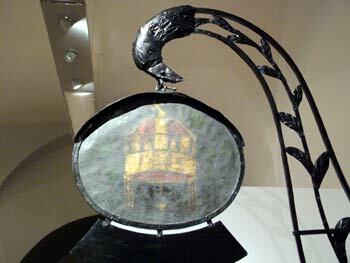 which is richly adorned with sculptures. The Knights Hall is on the 1st floor. (painted in 1763 by the Graz artist Jochan Gebler). 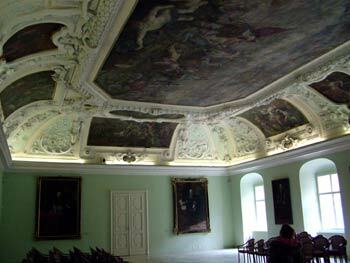 Maribor castle is one of Slovenia's hidden gems. It is not as well known as other castles but it is a beautiful architectural monument. Once the reconstruction is fully completed the castle will shine in all of its glory and be yet again one of Maribor's major tourist attractions.